ItÂ´s a dialogue between two people that are going to take a course of Spanish together. SS can write the corresponding number next to each bubble or the teacher can cut them out beforehand for ss to order the dialogue. Enjoy it! The present downloadable teaching material was created for business/professional students and high school students at Beginner (pre-A1) and Elementary (A1) level. 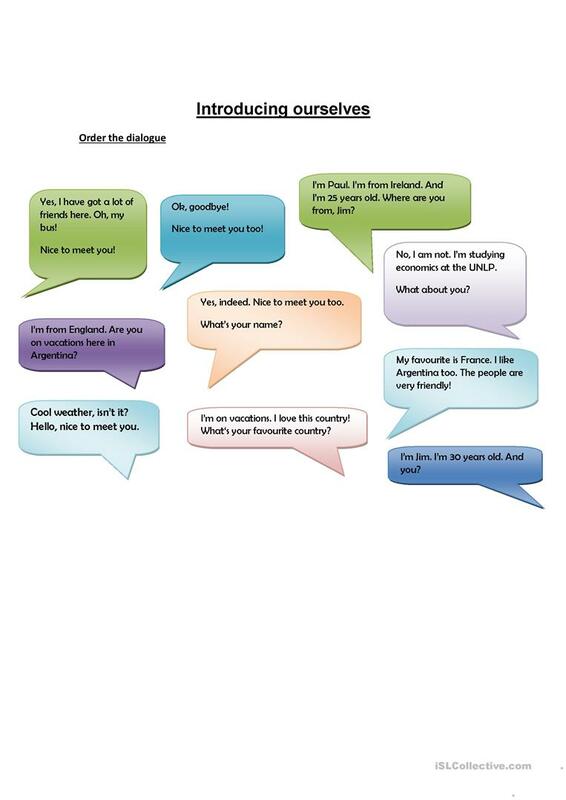 It is aimed at teaching Questions in English, and is a valuable material for enhancing your class' Speaking skills. It centers around the topic and words of Greetings.